George Adamson was a legendary figure in the world of wildlife. He devoted his life to his many lions that he was able to reintroduce into the wild, becoming the infamous ‘lion man.’ In 1989, George Adamson’s life ended devastatingly, murdered by a group of Somali Bandits. Fortunately, his legacy lives on through Tony Fitzjohn, who spent nearly 18 years with Adamson learning all the tricks of the trade from building roads to organizing anti-poaching units. Together this dynamic duo created Kora National Park, encompassing 1200 square miles of land that lays adjacent to Tsavo National Park (Kenya’s largest National Park), creating a massive amount of landscape dedicated to protection and preservation. These two extraordinary men also fought many battles against bandits and poachers, created airstrips, cut more than 300 miles of bush roads and reintroduced more than 30 lions and 10 leopards back into the wild. Today, Fitzjohn carries on the spirit of Adamson as his protégé. Recently, WildlifeNOW focuses its efforts on the highly endangered rhinos, African Wild Dogs, and elephants. Their accomplishments consist of establishing the first successful rhino sanctuary in Tanzania which is now a highly patrolled, 30 square mile sanctuary. Their veterinary program has made groundbreaking progress in the research of diseases, hoping to one day contribute to immunizations of the African Wild Dogs. After a devastating decrease in population of elephants, WildlifeNOW has around 1,000 elephants roaming the reserve in the wet season. Additionally, for the past three decades WildlifeNOW has been successful in reintroducing zoo animals back into the wild. 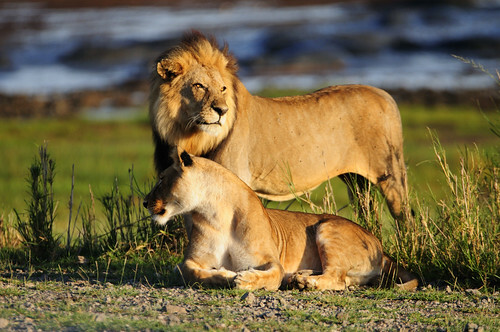 Tanzania, being one of the poorest countries, has hunted wildlife for the survival of themselves and their families. 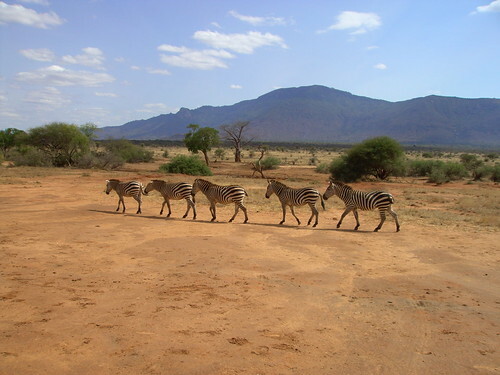 To help local communities WildlifeNOW has created an outreach program so that the surrounding villages benefit from the reserve. Their outreach program has provided medical assistance, funded the building of a secondary school, improved water supplies and much more. Their goal is not only to sustain wildlife, but to reverse the damage that has been done. Tony Fitzjohn has spent a lot of time traveling the world, educating the public on issues of wildlife preservation. However, he is now moving back to Kora, where he and Adamson started their magnificent journey, to bring the area back to life and re-introduce more lions into the wild. 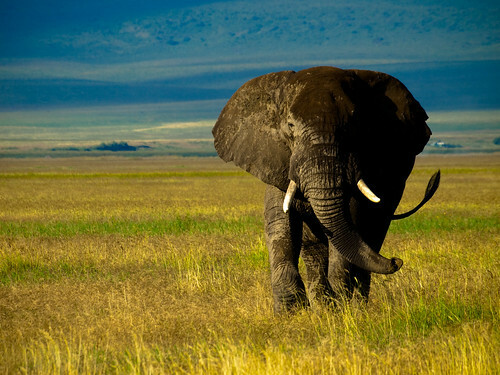 This entry was posted on June 22, 2010 at 7:47 pm and is filed under Africa: Elephants, Africa: Lions, Africa: Primates, Africa: Rhinos, Organization of The Day with tags Africa, Animals, Conservation, elephant, Extinction, George Adamson, Giraffe, kenya, Lion, poaching, Tsavo National Park, wildlife, Zebra. You can follow any responses to this entry through the RSS 2.0 feed. You can leave a response, or trackback from your own site. Well done bush warriors, especially sarahthewildlifewarrior. All power to this wonderful man. Wishing him every success to protect these wildlife forever. We can’t lose them.